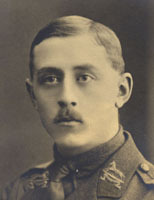 Still another King Edward VII student has to be added to the roll of honour. Second-Lieutenant John Gilbert Hall, West Yorkshire Regiment, elder son of Mr. Joseph Hall, or Tom Lane, Sheffield, was reported missing on 3rd May, 1917, and is now reported killed. He was a bright and promising youth, one of the senior students in King Edward School, Sheffield. In 1915 he gained an honorary history scholarship tenable at Queen's College Oxford. He had previously won a Royal Grammar School, Town Trust, and Lancasterian Scholarships. In February 1916, he joined the Inns of Court O.T.C., was commissioned in January 1917, and proceeded to France early in March last year. His commanding officer writes of his death : "He was doing his duty like a man and a brave soldier in a particularly severe action". He was only 20 years of age, and his death will be deeply felt by his fellow students and numerous friends. 3rd May 1917 3:45am	Battle Operation Order No 22 carried out against BULLECOURT. Attack unsuccessful. Casualties heavy. Details of the attack are given as App II attached. Owing to the darkness and the dust raised by the barrage, observation in the earlier stages of the attack was quite impossible, and no news of the situation of the 2/6th West Yorkshire reached Battalion Headquarters until after 6:00am. Various Officers and Runners had been sent forward to get information but had not returned. The numbers engaged were not sufficient having regard to the condition of the defences and the strength of the Garrison. The trenches on both the north and south sides of the village contain a large number of dug-outs and require much stronger mopping up parties than were available to deal with them. The hour fixed for ZERO (3:45am) made control extremely difficult owing to the darkness. The disadvantages of advancing at dawn when hostile observation is just possible appear to be less than the disadvantages of possible loss of control and direction under cover of darkness when hostile observation is not possible. Finally, owing to the northerly direction of the wind, the dust raised by the barrage was blown back into the faces of the advancing waves. This both increased the difficulties of maintaining touch and direction and at the same time made observation from the rear impossible for a very considerable period after dawn. It is clear from the above that the attack at Bullecourt was a typical piece of First World War military incompetence. The 2/6th West Yorkshire regiment was ordered to attack a well-fortified position at dawn. The defenders had the light behind them and the smoke from the Allied barrage had drifted back, obscuring the view of the West Yorkshires but not that of the Germans. Gilbert was initially reported as 'missing in action'. Letters written by his father on 11th and 15th June 1917 show that he had been reported missing, but at that time they were still hoping to hear that he was a prisoner of war.4 He was eventually reported 'killed in action' and is commemorated on the Commonwealth War Graves Commission Memorial at Arras.5 His body was never found. In Memory of JOHN GILBERT HALL Second Lieutenant 6th Bn., West Yorkshire Regt. (Prince of Wales's Own) who died on Thursday, 3rd May 1917. Age 20. Additional Information: Son of Joseph Hall, of 162, Tom Lane, Sheffield, and the late Louisa Hall. A Graduate of Queen's College, Oxford. The Arras Memorial is in the Faubourg-d'Amiens Cemetery, which is in the Boulevard du General de Gaulle in the western part of the town of Arras. The cemetery is near the Citadel, approximately 2 kilometres due west of the railway station. The Memorial commemorates almost 35,000 casualties of the British, New Zealand and South African Forces who died between Spring 1916 and 7th August 1918, with the exception of casualties of the Battle of Cambrai in 1917, and who have no known grave. The design, by Sir Edward Lutyens, consists of a cloister, 25 feet high and 380 feet long, built up on Doric columns and faces west. In the broader part of the site the colonnade returns to form a recessed and open court, terminated by an apse. The names of the casualties are carved on stone panels fixed to the cloister walls. This document is © Chris Newall 2003 and is freely available to fellow researchers. It is not for sale or general publication and may not be used for commercial purposes.